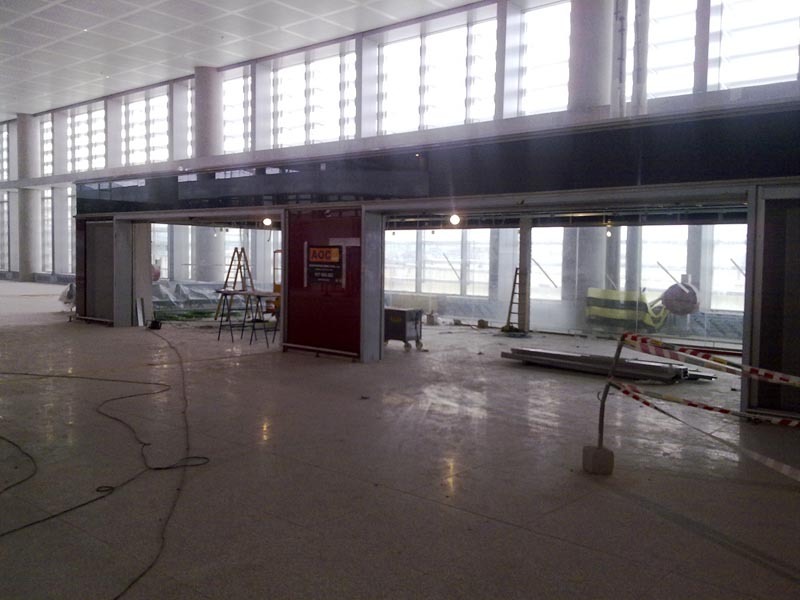 Another picture from the new terminal T3 at Malaga airport. 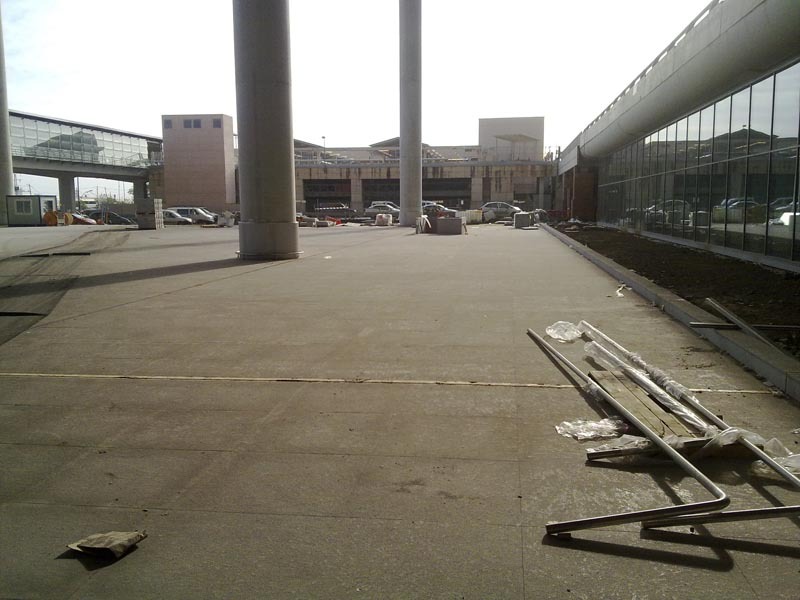 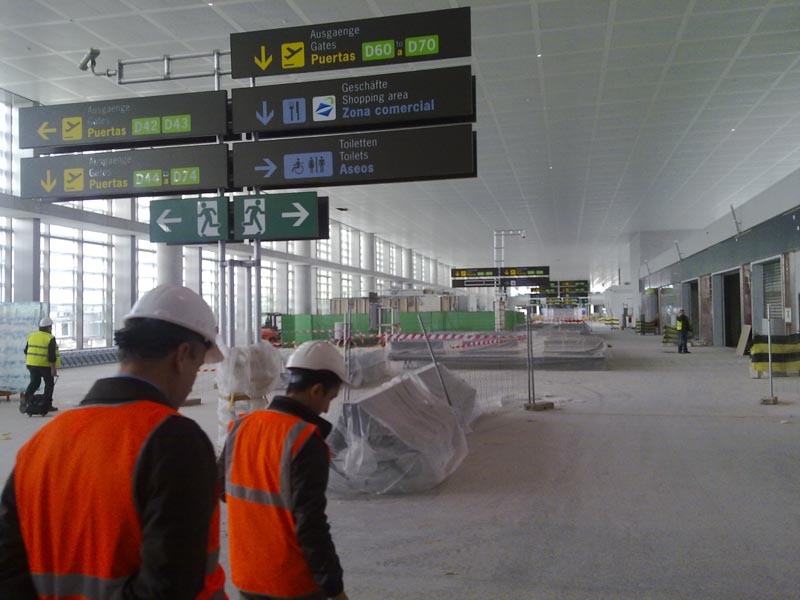 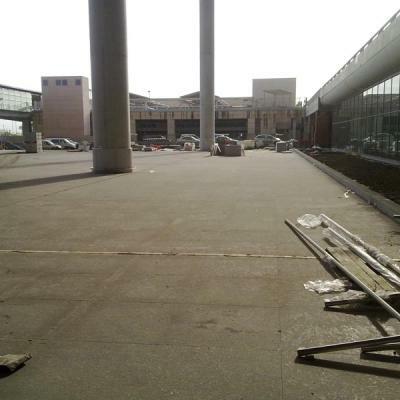 Picture of two workers heading to their jobs at Malaga airport T3 building process. 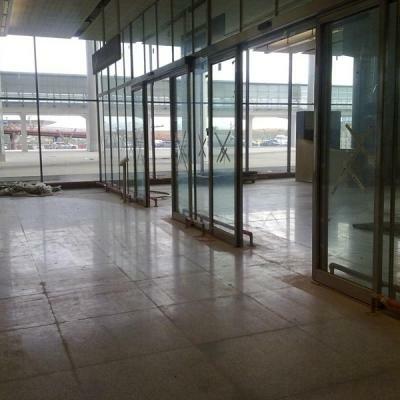 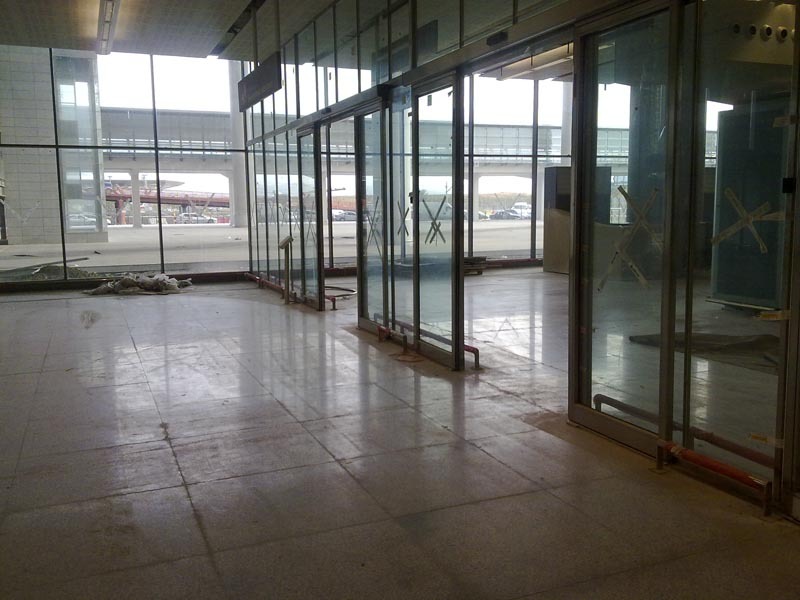 Picture of the new automatic doors at Malaga airport. 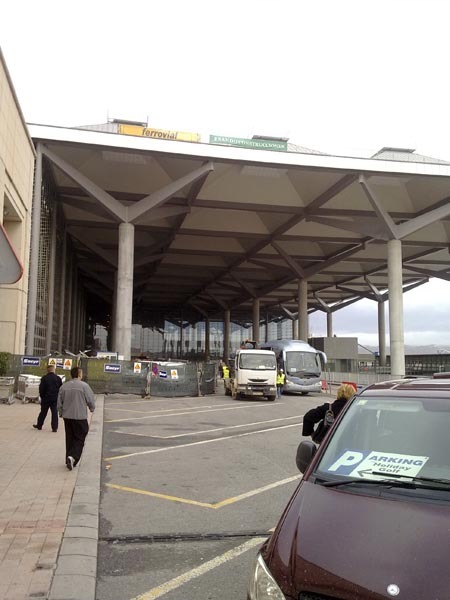 Picture of the exterior of the new T3 terminal at Malaga airport departures area. 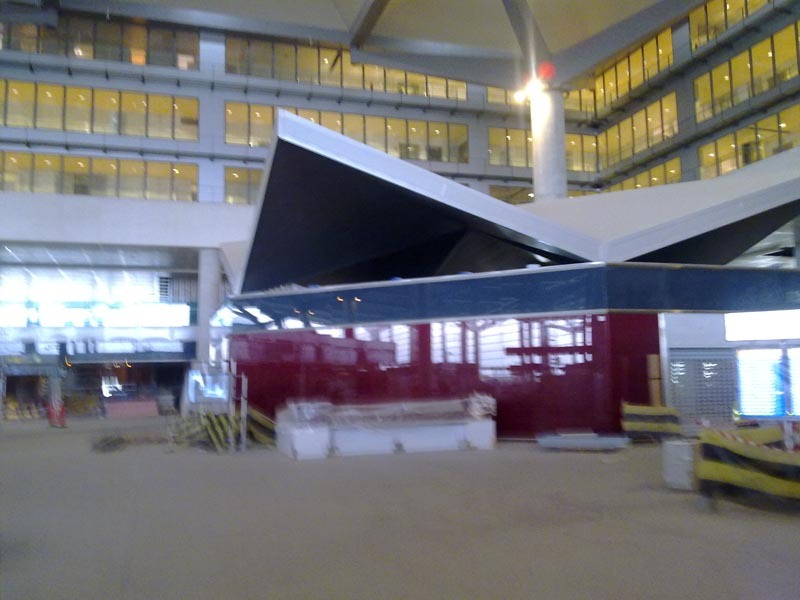 Another external picture of the Terminal 3. 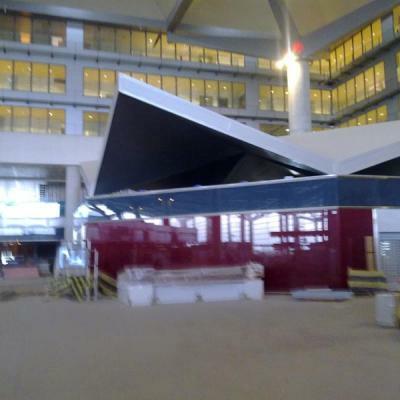 Exterior picture of the new terminal T3 at Malaga airport. 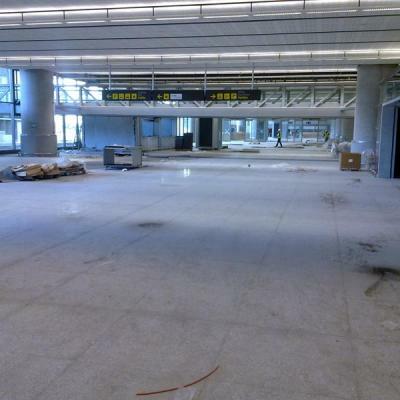 Explore our many pictures from the airport. 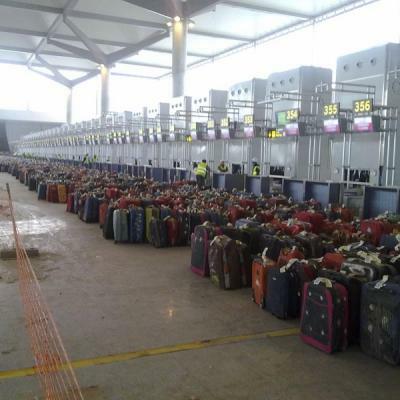 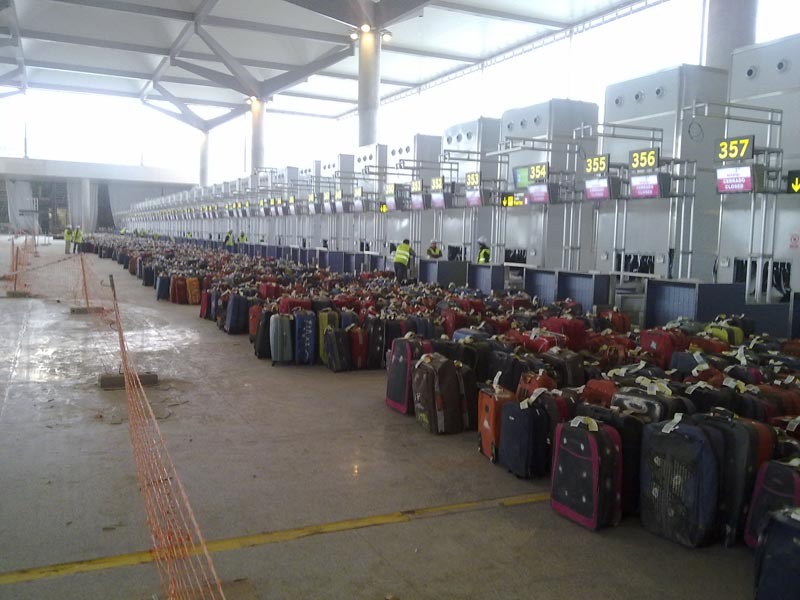 Picture of luggage waiting at T3, Malaga airport. 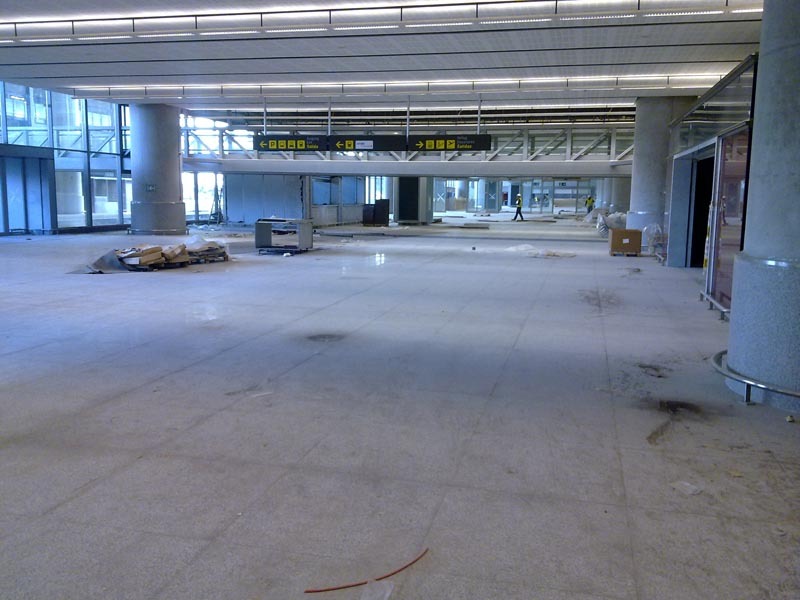 Explore our many pictures from the airport. 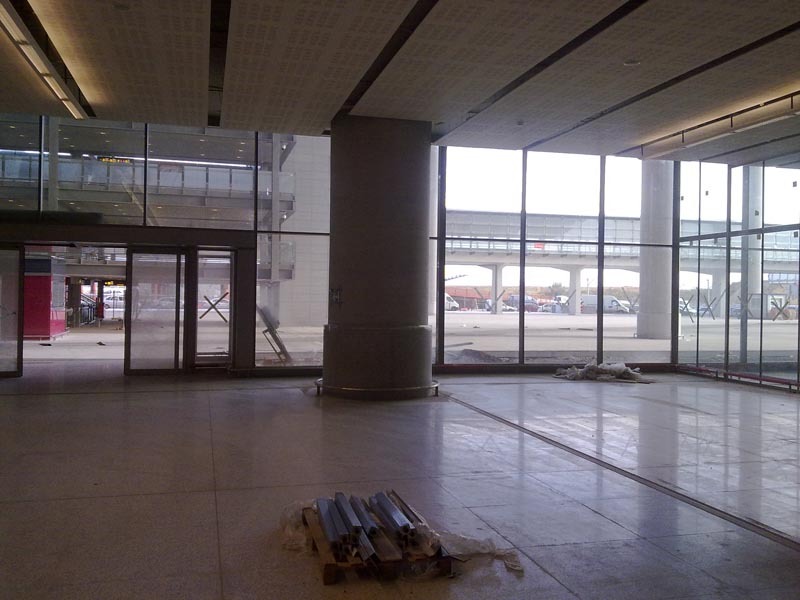 New picture from T3 hall at Malaga airport before the official opening. 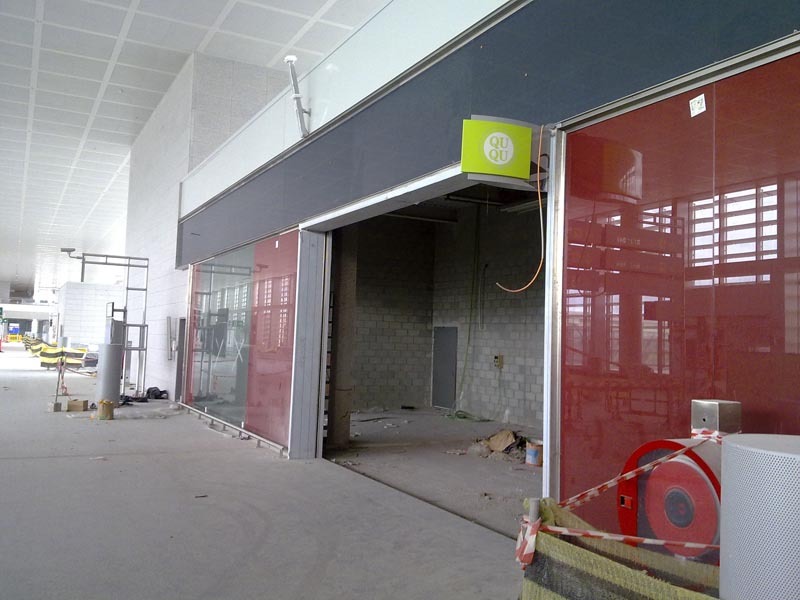 Another picture from the interior of the Terminal 3 at Malaga airport before the official opening. 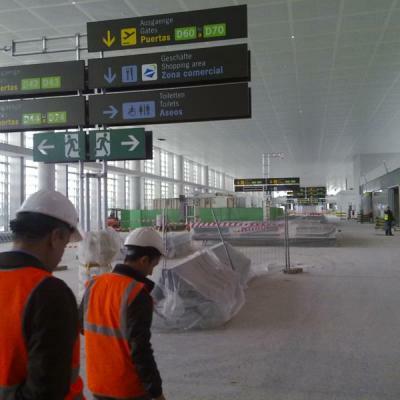 Picture of the interior of the T3 terminal before the official opening. 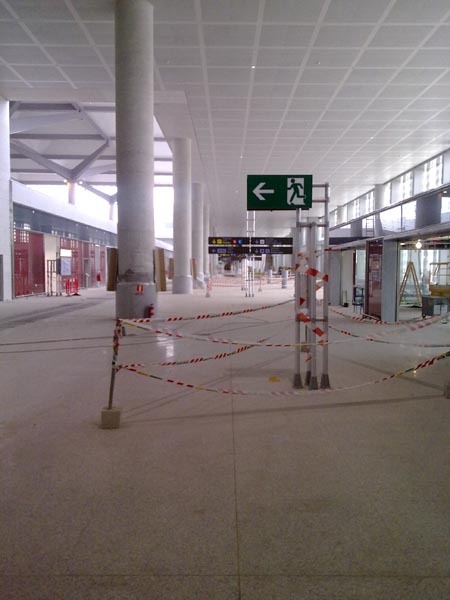 Picture of Malaga airport T3 before the official opening. 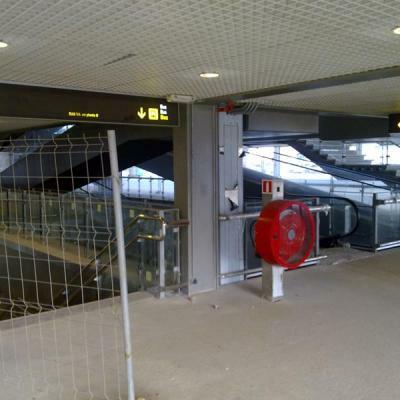 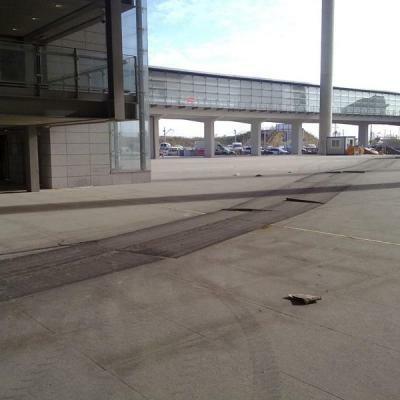 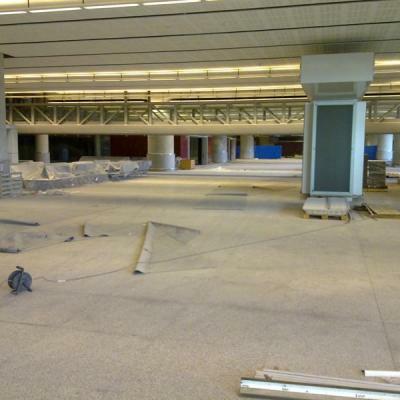 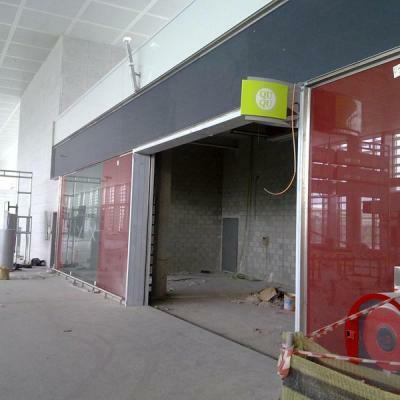 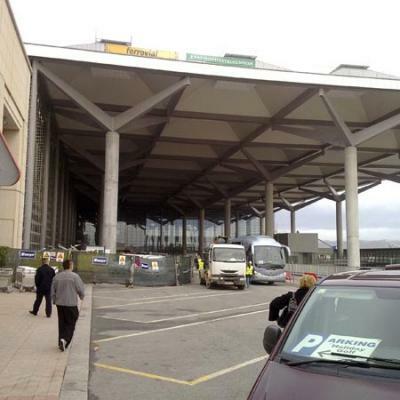 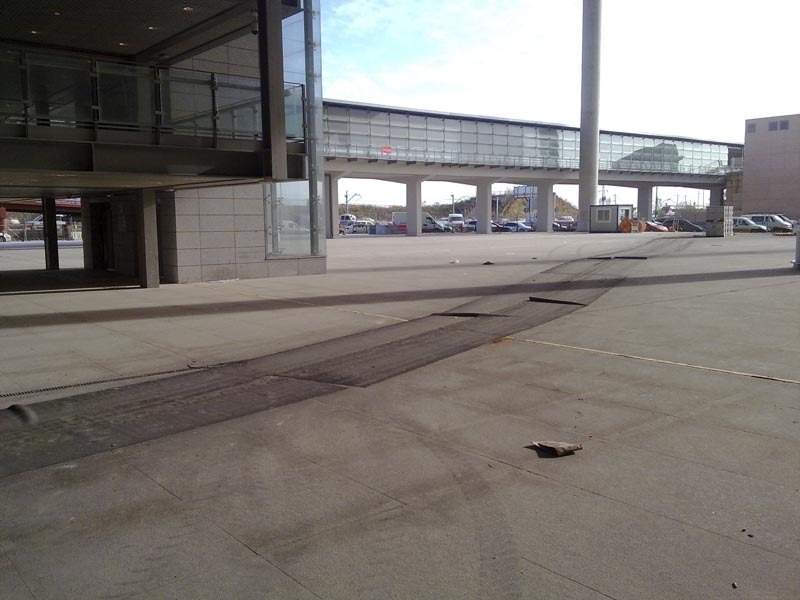 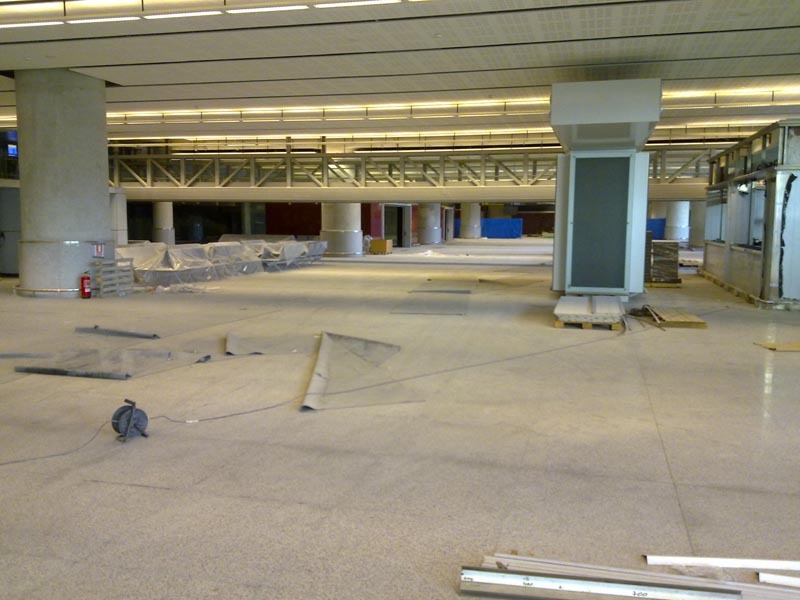 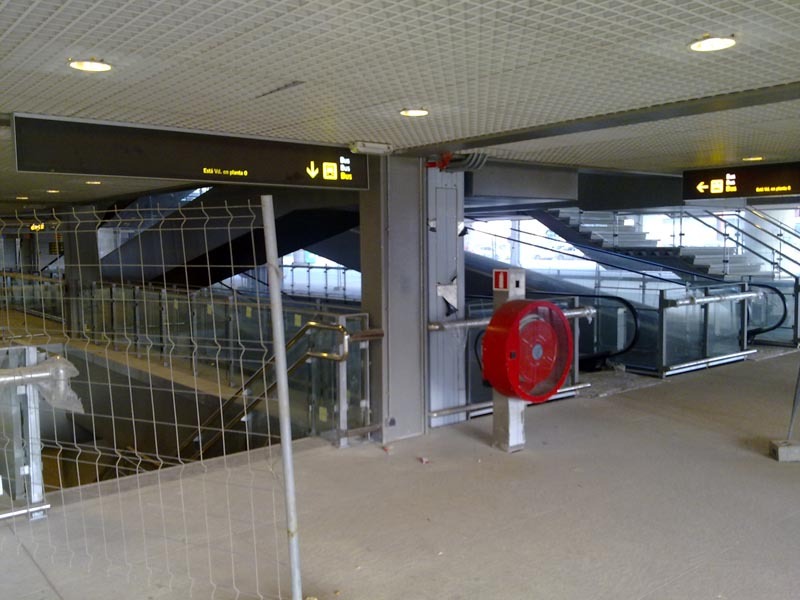 Check our other pictures from Malaga airport, before and after official opening. 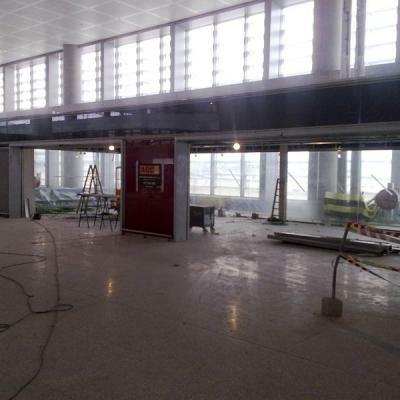 Fourth picture of Malaga airport interior before the official opening. 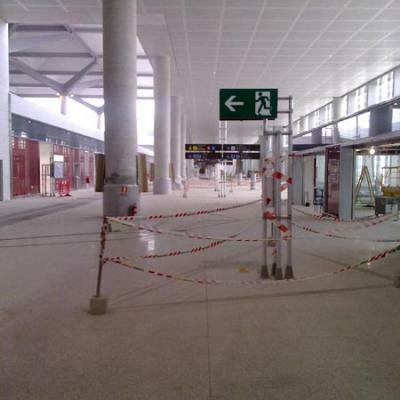 Fifth picture of the interior of Malaga airport before the official opening. 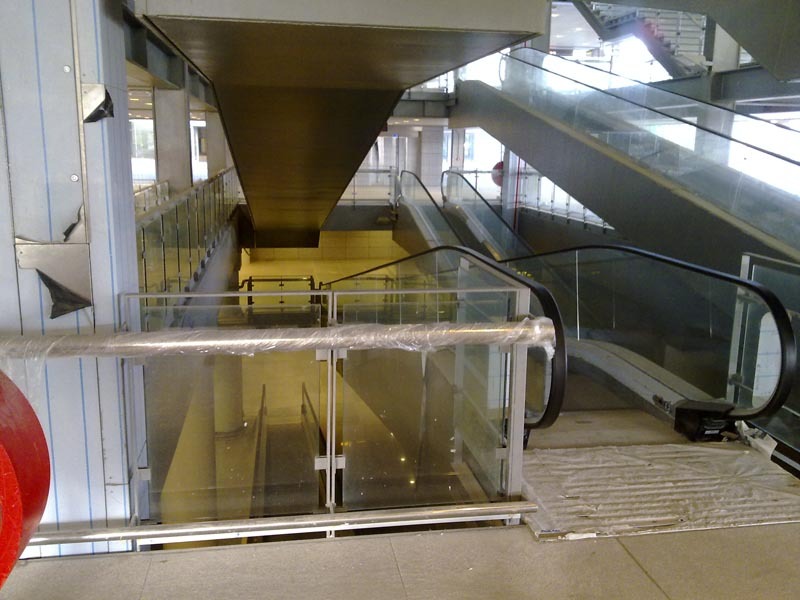 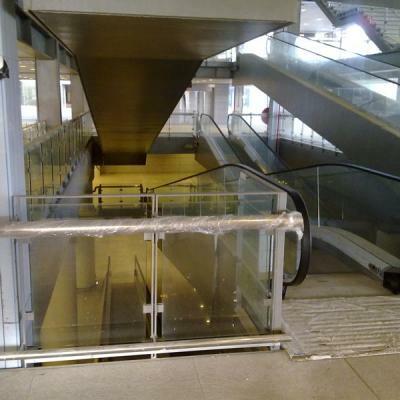 Automatic stairs picture from Malaga airport before the official opening. 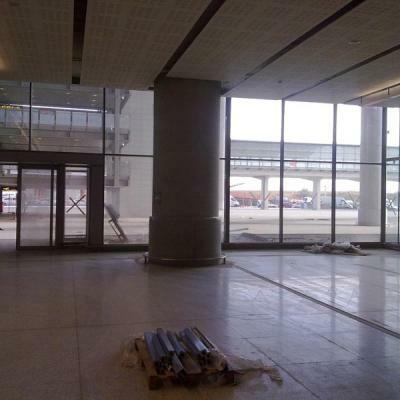 Seventh picture of Malaga airport interior before the official opening.